You have been waiting for MONTHS! It’s almost time! Our first home bout of our 4th season! Aww, Yeaaaaah! We hope you can join us for some good family fun! This season we are selling Family Pack tickets and our bouts are starting earlier in the evening. Check out our links for tickets for more information on that! 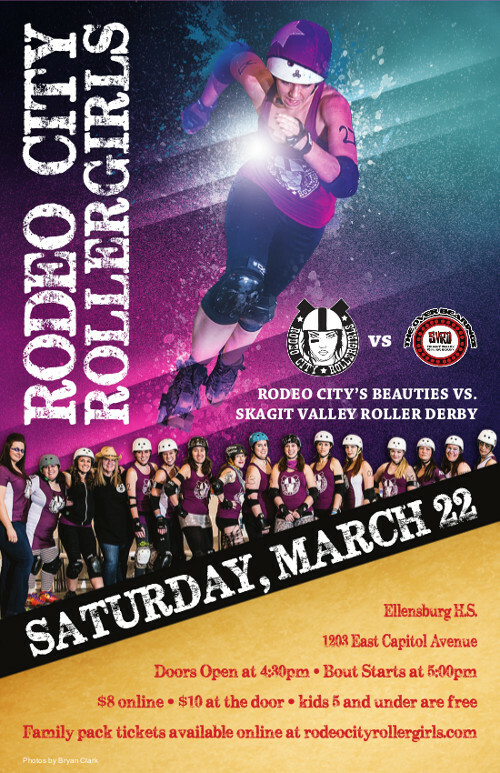 Rodeo City Beauties will be taking on Skagit Valley Roller Derby. We are really looking forward to seeing you again, and skating our hearts out.